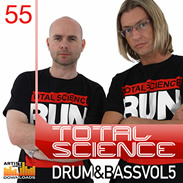 Okay, so one of my all time favorite Drum & Bass Artists Total Science have joined forces with Loopmasters and released Total Science Drum & Bass Vol.5 so as you might be able to tell I was very KEEN to check out this sample cd. Ever since “Champion Sound” hit the dancefloor I have always been impressed with Total Science. The big drums and even bigger bass never failed to impress me. Now thanks to Loopmasters I could incorporate some of their sounds into my own projects! So, lets dive in then! You get a healthy bunch of breaks to work into your tunes. Most of the breaks sound nice and full,have a nice stereo spread on them making them sound big. They also have good dynamic range and are jammed with loads of character. Now this can be bad if you just get lazy and use the break as is because you’ll be caught out. So DONT DO IT! Do you have to layer them up? Well, for some of them you do but for others you don’t. I personally would layer some more breaks on top to make your track more original. Its not all plain sailing though because I think there is way too many drum breaks Fx loops. In my opinion a few are ok but there is way too many here for my liking. Small criticizm but one nonetheless. Total Science has also supplied us with the construction Kits as well. Making it easy to mix and match what ever elements of the break we choose. You still have to do a bit of work with the Kicks and snares but the real value is in the hi hats, rides, claps and perc. Great way to give your own breaks a bit of character or grit or top end shizzle. Your best bet is to use the supplied Ableton Sampler patches which make life so easy when it comes to finding the perfect kick,snare or Perc loop to layer. Ableton Sampler is a REAL God Send if you ask me. Its so easy to use but is so powerful that some times I wonder if I need Kontakt at all! You get access to all the important features of a synth you need, filter, pitch and the envelopes. However, my favorite feature is the wave shape with can add a nice bit of overdrive/distortion to the sample. I know a lot of people love Total Science for their great drums but for me it was always their crazy bass sound that i loved, Heavy but always catchy! 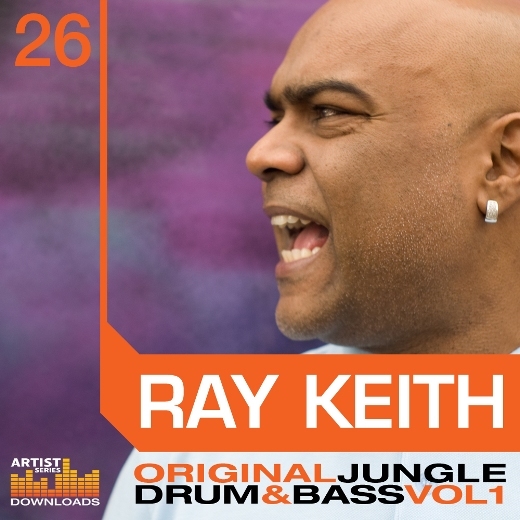 Tracks like Borderline and Jungle Jungle are some of my all time favorites so I was keen to get stuck in. I wasn’t dissapointed because the bass loops are top notch. Plenty of usable loops to get you grooving straight away and in quite a few different styles as well. The Ableton Sampler patches I have to report are very useable indeed. Most sample packs let you down when it comes to the presets but not Total Science. Well labelled and most times pitched correctly the lads have provided some heavy BASS to get your low end sounding nice and proper. Great collection of Sampler patches. Instant quality through and through. I’m amazed at the level of quality in these patches. You can start vibing start away with patches. little collection of vocal snippets. Perfect for adding a bit of old school spice to your tunes. Supplied in the handy Sampler format the FX patches are quality. You get a great collection of risers all with the correct pitch and intelligently labelled. There isn’t a great collection of Stab or Hit FX but you do get a few really good DuB FX sounds to throw in your tunes. The Perc Loops are a bit hit and miss. Some of them are awesome and some a bit average. No problem really just use the good ones then! If your struggling for a bit of musical inspiration then these loops will definitely have you up and running in no time at all. You get quite a lot of loops here but all of them are very useable indeed. The loops come in a tonne of different styles and moods making the sample pack perfect for what ever tune your writing. Listen, I have no problems recommending Loopmasters Total Science Drum & Bass Vol.5 to any body. If you’re a beginner then its perfect because it has everything you NEED to get up and running quickly. If you’re more of an advanced producer you can analyze some of the sounds to dive into more of the sound design and A/B samples with your own. 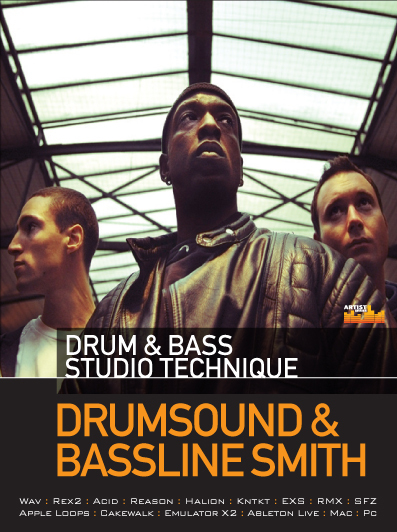 This sample CD is unlike any other out there in the market today for Drum and Bass. Its proper quality through and through and I think you’ll quickly discover that buying it was one of the best purchases you could have ever made. Keen to have a look at this sample pack. 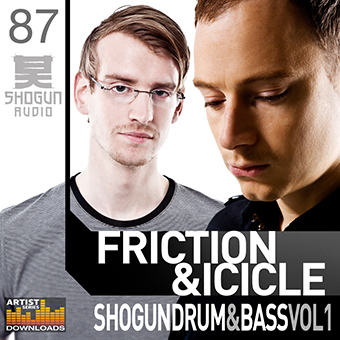 TS have always been able to riffle through the DnB plain with quality tracks, from Legend records, metalheadz and CIA to name just a few, I would expect no less in a sample pack that would not match their musical know how.